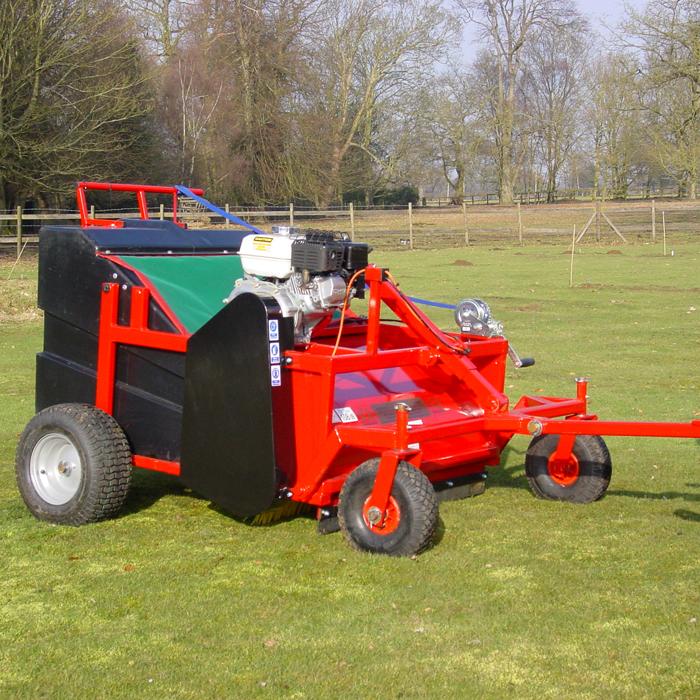 SCH have developed the Equestrian Powered Brush (ref: EPB) for the smaller equestrian centres and private paddock owners. The regular removal of droppings promotes healthy grass and helps reduce droppings related diseases. Four rows of height adjustable brushes rotate at variable speeds to flick the droppings into the rot proof rear collecting box. The brushes are driven by a 5.5hp Honda engine equipped with a speed reduction gear box which incorporates a centrifugal clutch, this means that when the engine speed is reduced the brushes stop revolving, a necessary feature when moving from heap to heap. The EPB can also be used for other sweeping tasks e.g car parks etc. The tow hitch is fitted with a 50mm ball hitch.